The first twenty-five years of the Old Isleworthians RFC was a period of steady progress. One of the few changes is recalled by Tony Hawkes in his first game for the club in 1972 when the 2nd XV captain, Mike Lane, didn’t believe they had beaten Thamesians 10-9 until the referee confirmed that a try had been upgraded from 3 to 4points the season before! In contrast, the second twenty-five years saw major changes, with increasing pressure on the half a dozen people who run our and similar clubs in any season. For the first three seasons, the club lost more games than it won. However, the club still had depth and continued to field three teams. Captain Derek Meades did, however, start to build a younger team (which some veterans said was a ‘misguided youth policy’). Alan Luxton’s team also struggled in his first year as captain. In the following season, 85/86, under Phil Dearman the situation improved with the 1sts losing only 9 of its 27 matches. Of course the club continued to have raucous social events like the sponsored pub walk. The next five seasons, 86-91, were the ‘Luxton era’. In 86/87 the club celebrated its 30th season, and the 1st XV won 20 of its 32 matches. The 3rds had three amazing seasons, naming themselves the ‘Blue Tide’, introduced the ‘winners carpet’ which was that nearest the bar, and went on to break the club points spread record twice. In 89/90 Karl Woodhouse built a strong 2nd XV, including a few Kiwi policemen having a sabbatical, but more significantly he introduced some of his former Nottingham university rugby mates (the one of that didn’t join OIs was Brian Moore). We continued to field an occasional Sunday Vets, and in April 89 they won the finals of the Harrow 7’s and Wandsworthians 15’s. The club is indebted to Luxton (‘Happy Al’ junior, Pearce being ‘Happy Al’ senior) for his leadership in this period, and for all the building work he did around the club and ground. He returned as captain in 95/96 for a record seven seasons. The biggest change in this period was the introduction of leagues in 87/88. Previously we had mostly the same fixtures for thirty weeks for all teams. League weeks dates were often changed with the result that a lot of our past regular fixtures started to disappear. This was made worse when instead of playing opponents once per season they were played twice, home and away. A number of our league opponents could not commit to playing our other teams, so the fixture secretary’s role became even more difficult, and rarely did the 1sts and 3rds travel away together as they had done for many years. The early 90’s suffered somewhat from lack of leadership continuity with four different captains (Neil Coles, Woodhouse, Nick Prescott, Woodhouse, Luxton) in five seasons although they had fairly balanced results, but we were relegated at the end of 93/94. Our playing strength had weakened with the loss of a number of good players who retired (far too early) in their mid 30s. However, we had a significant influx of new players in 90/91 when Brian Gamlin, who had joined in 1987, encouraged a number of his former school mates from Heathland school and elsewhere to join. This provided us with about ten young players, including numerous future captains and committee members. In 1991 we finally secured a pitch at our home next to the clubhouse at Wood Lane. This was important for the club’s standing with our players and other clubs. In 1993 the club decided to smarten up, and introduced the wearing of blazers with club badge, as well as ties, for league and cup matches, Saturday tour matches and club dinners. Many clubs established colts teams which later provided some of their senior players. We relied on recruiting players from the School, but many were committed to other clubs by the time they were old enough. In 95/96 with help from the School we ran a successful under 12’s team which went on for three seasons, but we did not have the facilities or volunteers to build on this. However we still continue to attract a number of former School players to OIs. At the other end of the age scale in 1995 our Vets won the Slough 15’s. In 96/97 the club celebrated its 40th season, and Colum Ewing became captain. After eleven years, Winslade (‘the Don’) handed over the presidency to Brooks (‘Spartacus’) who handed over to Steve Rac. Colum was a dedicated club captain for four seasons and in 99/00 we had our most successful league result for years, coming second. This was certainly influenced by the appointment of our first external coach, Richard Churchill. During the 90s there were frequent law changes, especially for scrums, rucks and mauls. One referee explained the latest changes just before the 2nd XV kicked off vs Egham. He asked both teams if they had any questions, and the infamous Phil Brabazon then said ‘I do, what’s the capital of Poland?’ Other changes affected our player management. The increasing use of substitutes meant some players worried less about turning up. Players took more Saturdays off e.g. pre-wedding stag nights became long weekends away. In 2000/01, Stuart Pegrum became our second northern 1st XV captain, and in the Middx Cup we met our strongest ever opponents and lost to London Scottish 1st XV. Phil Cooper then took over for two seasons, injecting new life into the squad with his unerring commitment, and in 01/02 won league promotion in a play off vs Hendon. We also celebrated our 45th season with a reunion Saturday attended by about 120 past/current players, and an intra club match followed by the 1st XV beating Wasps Amateurs in the league. Rob Davis took over the captaincy for 03/04, and had a good season which ended with a Club XV losing by two tries in an inviation match vs Harlequin Amateurs on the Stoop main pitch. Looking back over the previous 10 years, OIRFC weathered the storm of change better than many local rivals. Centaurs and Orleans folded. 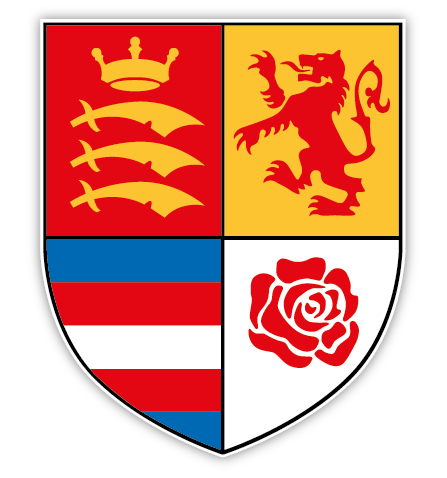 Gaytonians, Roxeth Manor and Kingsburians merged to become West London RFC with only just two teams. Osterley RFC moved away from its original ground and by 2004 were only just fielding a 1st XV. They contacted us and we agreed to work together and on twenty Saturdays in 04/05 we fielded a combined ORFC 1st/OIRFC 2nd XV. This continued in 05/06 when we invited Osterley to relocate to OI’s at Wood Lane. In 04/05 we elected our first captain from overseas, an Australian, Ryan Swerdlow. For various reasons, the 1sts had a slow start and, in spite of a good second half of the season, were relegated. This was immediately rectified by Ryan in 05/06 and we secured league promotion back in to Herts & Middx South 2, and also won the Herts & Middx Vase Final vs Hendon (again). After two seasons working together with Osterley RFC to alternatively run an OI’s 2nds and an Osterley 1sts, we set about rebuilding our own 2nd XV, and based on good recruitment and the return of a few of our vets, we once again fielded a regular 2nd XV. In 06/07, just like our Silver 25th season, we celebrated our Golden 50th season in style with about 150 attending our players reunion in October 06, and with our first two week tour since Florida IV in 1992, and the furthest, to Singapore and Australia in May 2007. Thirty-seven OI’s set off on the tour, and the tour party was boosted by the arrival of half a dozen former OIRFC players living in Australia and New Zealand. In 07/08, Bob Patten took over as captain form Ryan who was returning to Sydney, and we ended up mid league table. Unfortunately, the Herts & Middx leagues were, yet again, restructured for the 08/09 season and we found ourselves just in Herts & Middx 3. However, the 1st XV soon showed its strengths with a mixture of established players and some new youngsters, and other than the first league match went on to win the rest, finishing the season as league winners and thus promoted to Herts & Middx 2. The 2nd XV, led by captain Peter Spiers, performed well in its first season in the Middlesesx Merit table and made the semi finals. In March 09, there was the first of what we hope will be an annual past/present players reunion. On the day we fielded three teams which showed how our number of players had grown in the season. At the end of 08/09, Antony Enright stepped up as chairman taking over from Steve Rac who had served as chairman for a record equaling eleven years. In 10/11, Brian Ralston (USA) took over as captain for two seasons, and we consolidated our playing strength with the 1st XV and 2nd XV finishing mid table, and fielding a Vets/3rd XV on six occasions. The season finished with a tour to Marbella with a record 45 tourists (would have been 52 but for post volcanic ash flight cancellations). On the Friday evening we won a small tournament involving Gibraltar and Queenstown (N Ireland), and on the Saturday we fielded two teams versus Marbella 1sts and Veteranos. In 12/13, Darren West took over as captain and former captain, Colum Ewing, took up a position as our director of rugby to help drive the club’s rugby player management, training and playing. This continued for Darren’s two seasons, season 14/15 with captain Simon Daws and 15/16 with captain Brian Daniels. In 15/16 Dawsy took over as chairman from Antony ‘Wallace’ Enright after his seven years. Although the club had continued to tour twice a year, mostly ‘up north’, we had not been abroad for four years. Brian encouraged us to tour to his home town of Waterford, Ireland to coincide with chairman Wallace’s 40th birthday. There was a great response from current and some ex players, and as for the two previous overseas tours and we managed to field two teams. In season 16/17 (our 60th), Stuart May took over as captain and brought his young enthusiasm to the club’s rugby finishing mid table in the league. We had trained for years at Wood Lane under lights but we were now given the opportunity by the School to train on its 3G training floodlight pitches. To celebrate our 60th season, we had a very classy dinner/dance in the members’ lounge overlooking the pitch at Twickenham stadium. The event was attended by seventy current and past players, including five who had played in our first season, and fifty wives/partners. The 60th season celebrations finished in the September on tour to Nuremberg and Munich with one of our rare overseas tour wins the day after attending the Beerfest.